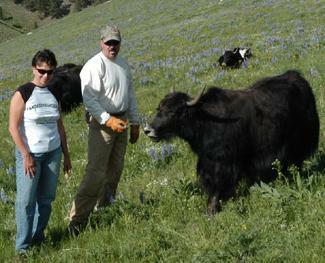 We purchased the ranch in 1997 and started raising Yaks in 2003. 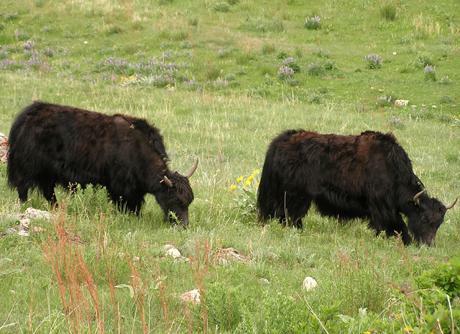 We named our ranch the "Yak Daddy Ranch.". Laura is an Alternative Health Practitioner offering acupuncture, massage and other alternative treatments at the Holistic Health Center in downtown Buffalo, Wyoming. John's full time job is working for Amy's Kitchen, an organic food company located in Santa Rosa, California. We also own an antique store, "American Outback Antiques", on Main Street in Buffalo, Wyoming. We wanted to raise livestock that was cold hearty, easy on the land and easy to handle. 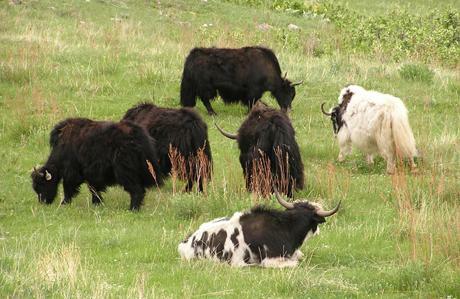 Yaks fit that bill. We live off the grid using solar and wind for power. We are currently building an Earthship on our mountain. Check out our pictures.